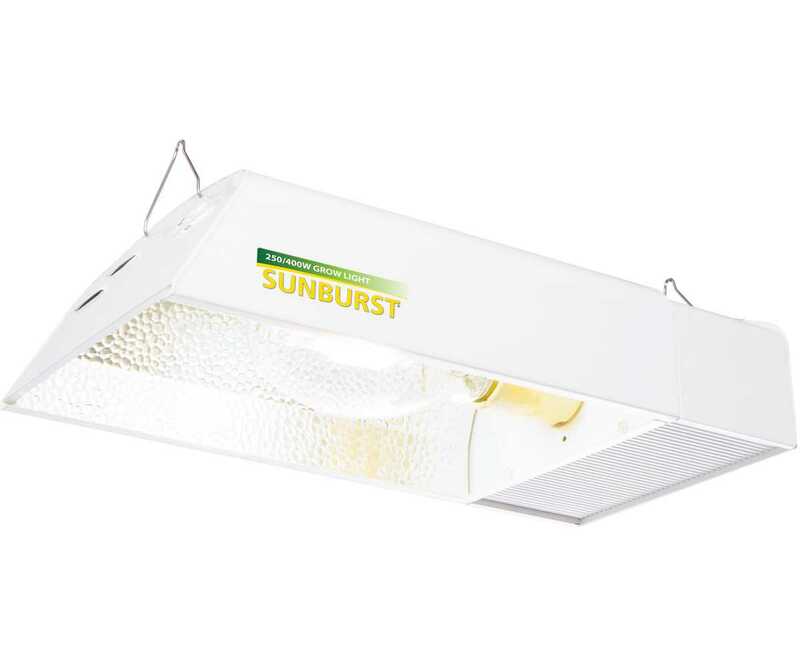 The Sunburst is an efficient electronic ballast and reflector in one compact package. It delivers more usable light energy for maximum plant performance and operates at cooler, quieter levels than any other compact system on the market. 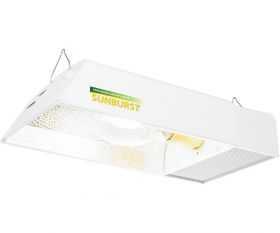 This Sunburst model accepts most High-Pressure Sodium (HPS) and Metal Halide (MH) lamps, in 250 and 400 Watt models. The integrated ballast automatically senses which type of lamp it is running and operates accordingly. Please note that BT37 type lamps will not fit in this fixture.